What flavors and foods bring you back home? Whether you live near where you grew up or you are clear across the world, one thing is certain, there are flavors and foods that can bring you right back to mom’s kitchen no matter where you are. Flavors you grew up with, flavors native to your culture, flavors that invoke memories. Food is something that can bring back a flood of memories in just one bite. Western Union’s aim is to connect people globally and they recently began the #WUHomedCooked project in which they united people with their favorite home cooked meal with a little help from their families. The look on their faces and the emotions it brought to the surface were priceless. Seeing what a meal cooked from their mama’s recipe can do to bring someone a taste of home was awesome. What meal would you like to bring you back home? I had quite a few that I could think of that made me think of Minnesota. In fact, we have family in Florida and we used to make a trip down to Florida once a year to visit them. They would always ask us to bring Old Dutch potato chips, Gedney baby dill pickles, Top the Tater and Porketta because those were Minnesota staples that they grew up eating and they couldn’t buy in Florida. It’s always fun to see what foods are local and not available on a nationwide scale. So here are two recipes from Minnesota to give you a taste of my home! 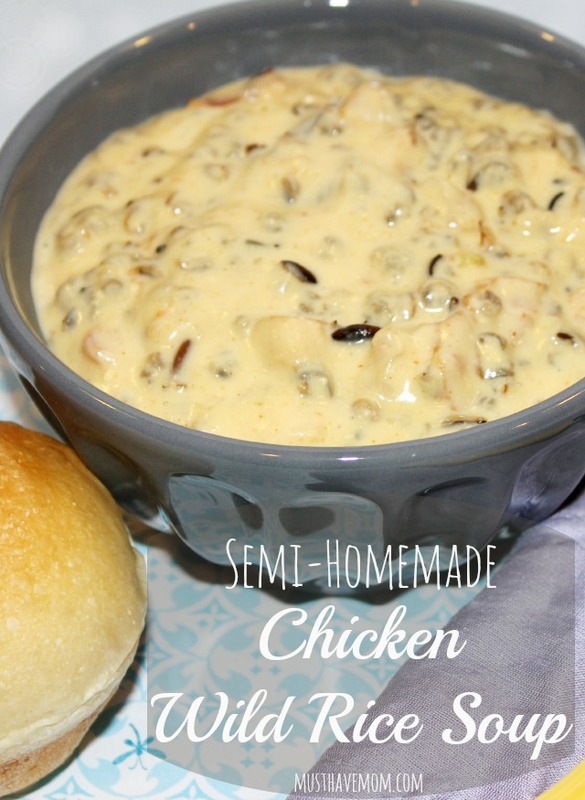 Easy semi-homemade chicken wild rice soup recipe from Minnesota! *Cook your wild rice ahead of time. Prepare 2 cups uncooked for a hearty soup. If you like your soup thinner you can use just 1 cup. This will make a lot of rice. Rinse and set aside. Fry your bacon in your large soup pot. Once crisped drain grease and return to pot. Add diced chicken, celery and onions and cook on medium heat until no longer pink. Turn down heat and add 2 cans evaporated milk, 2 cans of regular milk (measure your milk with the empty evaporated milk cans), 2 cans cream of potato soup, 2 cans cream of chicken soup, cooked wild rice and 16 oz Velveeta cheese. Once melted turn heat down very low. Do not allow soup to boil or it will curdle. Do not add water or it will curdle. Cook on low for 3-5 hours until it thickens up. *I freeze some of my soup for later too! It freezes well. Cut 1/2" slits throughout the meat. Cover the inside of the meat with a thin layer of chicken base. Sprinkle the chicken base with the garlic, cayenne and pepper to taste. Sprinkle the herbs into the slits of the meat. Roll up the meat and tie firmly with string. If desired, you can rub additional garlic and pepper on the outside of the meat as well. Place in a slow cooker with 2 cups of water and cook on low for 6 hours. Internal temperature should be 165 degrees. What recipes or flavors do you think of when you think of home? Semi home made is my favorite type of recipe. It’s easy, delicious, and it doesn’t take a ton of time. I love a wholesome chicken and rice soup although I’ve never had a cream variety. Thanks for the recipe! Yum! I love hearty recipes that don’t require me to be in the kitchen all day! This looks great! 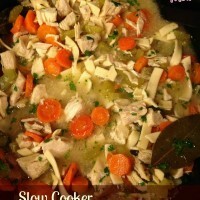 I love slow cooker recipes! I love soup, and I love crockpot meals! I haven’t made any soup with rice before… don’t know why I didn’t think of that!!! Thanks for sharing! 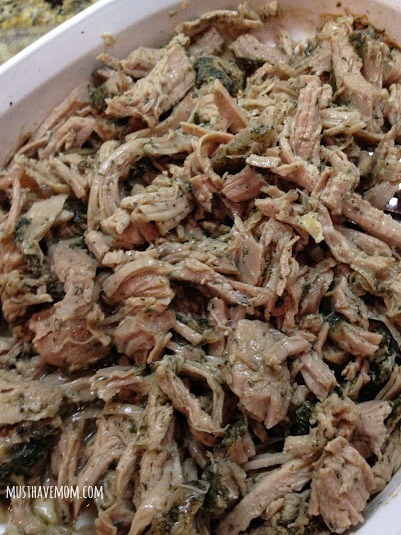 oh my goodness that Slow Cooker Porketta Roast sounds amazing! I love pork roast period. But now I am dying to try your recipe! I even have a pork roast in the fridge ready to be cooked! 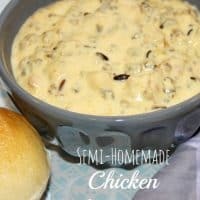 I love chicken and wild rice, putting that in a soup is just genius; I will be trying this out soon! 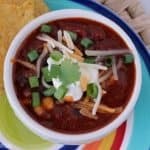 This looks so tasty and anything I cna throw in the crock pot and let sit to cook all day is my kind of week night meal! 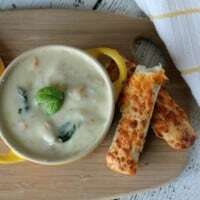 This recipe looks so delicious, and I want to make it soon because it is a good recipe for when it is so cold outside! Thanks for sharing.